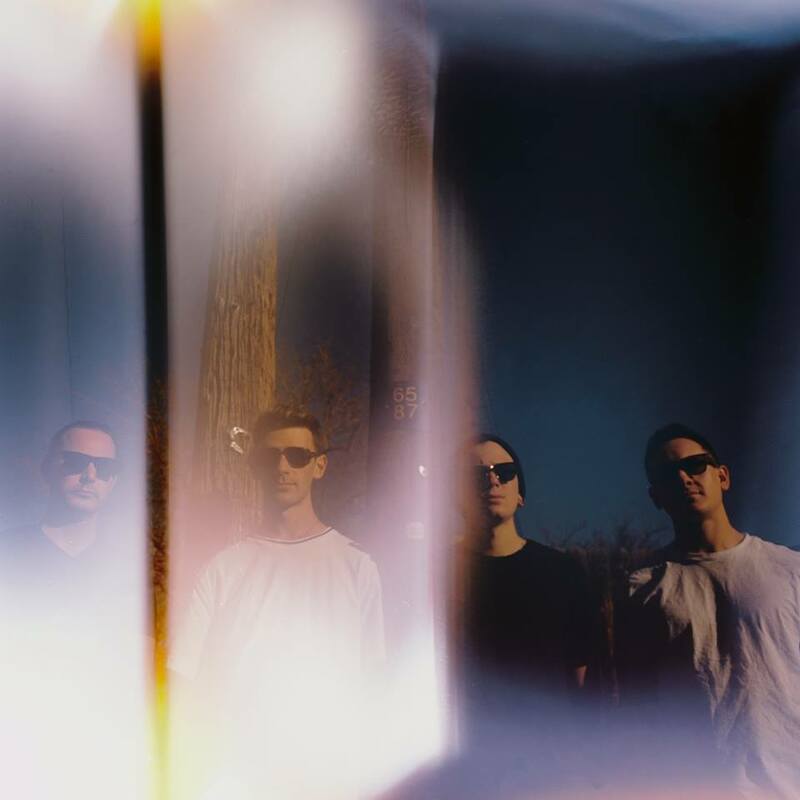 ‘Nitelite’ is the latest release from Denver based group Nobide, a funky refresher just in time for their upcoming show at the Fillmore. Comprised of producer Nick Vann, drummer Matt McElwain, guitarist Ted Kleist and newly inducted saxophonist Tanner Fruit, Nobide is a fast moving force in the music scene, and this is a perfect chance for those unfamiliar to get acquainted. 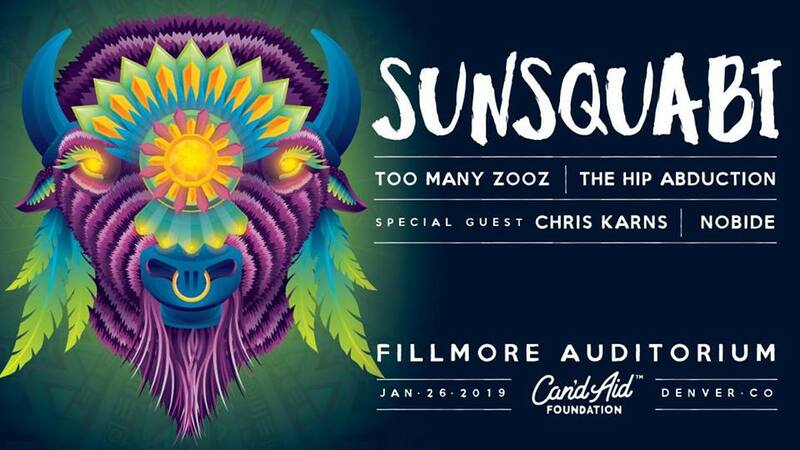 Opening for hometown heroes SunSquabi on January 26th at the Fillmore, we urge you to arrive early for the magic that Nobide is set to bring. Having each performed previously in different genres, all bring their individual artistry to Nobide’s undefinable sound. Strong grooves, tight production and relentless rhythms make them one of the most exciting bands to watch live. Stay locked onto their socials and catch the band when they hit a city near you! How did Nobide come to be the full lineup we see today? Nick started the project in 2015 as a solo producer and after exploring it for a few years determined a band would make the music much stronger. In the winter of 2017 Adam Deitch shared a video of Matt McElwain drumming which caught Nick’s attention… Linking up in a crazy winter storm, Nick & Matt hit it off and quickly started writing music. Ted joined mid 2018, and when Tanner moved down from Montana in November the lineup was complete. If your band could do a special cameo in any movie or show, what would it be? If Nobide were to cameo in a TV show it would prolly be South Park – our scene and style would be prime to poke fun at. They’d probably have some fun with the “Organic Electronic” idea too. With so many epic sit ins happening these days, what are some of your dream collaborations, dead or alive? This can be answered individually or as a Nobide collab. Adam Deitch is a hero of all of us, it’d be an honor to collaborate with Lettuce. If we were to summon from the dead it would be Miles Davis or John Coltrane or Stravinski or Jerry Garcia. It’d be sick to do something with a comedian like Bill Burr or Pete Davidson. What has been the most defining moment for Nobide since the project kicked off? One of the defining moments of the Nobide lineup as it is now… we went up to Evergroove in Evergreen and recorded Nitelite – we recorded it all in one day and had it finished two days later. It was the first time we all played and wrote as a band and the process was seamless – everyone tried something new and flexed their strengths… Definitely opened a lot of doors for us. Our goal for 2019 is to keep swingin! !